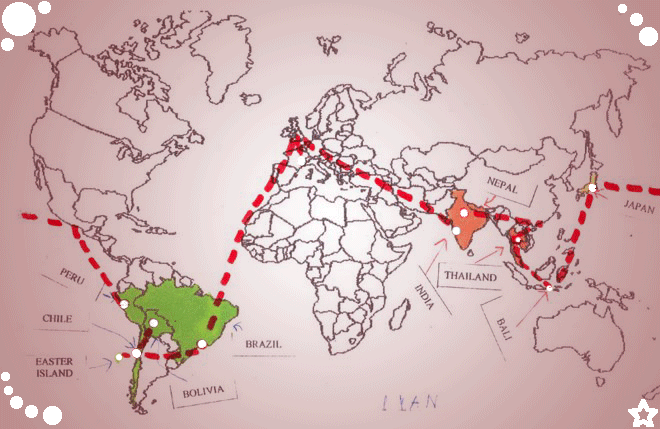 (¯`'•.¸Around the World : Cultures and Tales¸.•'´¯): Happy Shivaratri ! Shivaratri or Sivaratri (Night of Shiva) is a Hindu festival celebrated every year. 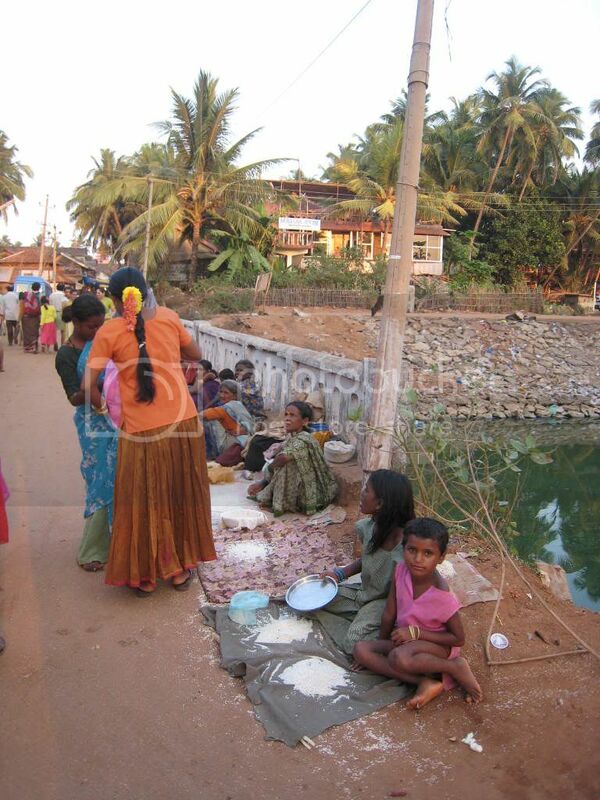 I went to Gokarna with PP, who was a wonderful guide. 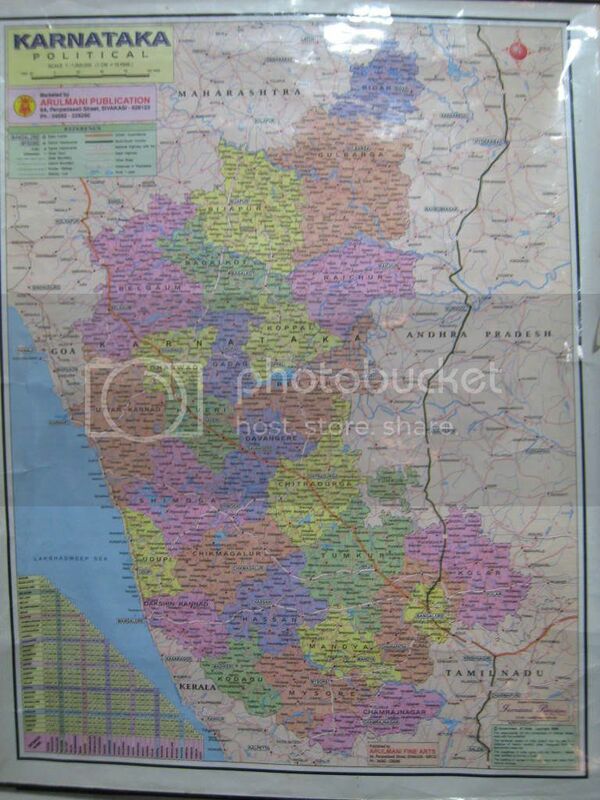 Gokarna is located in Karnataka, the state south of Goa. 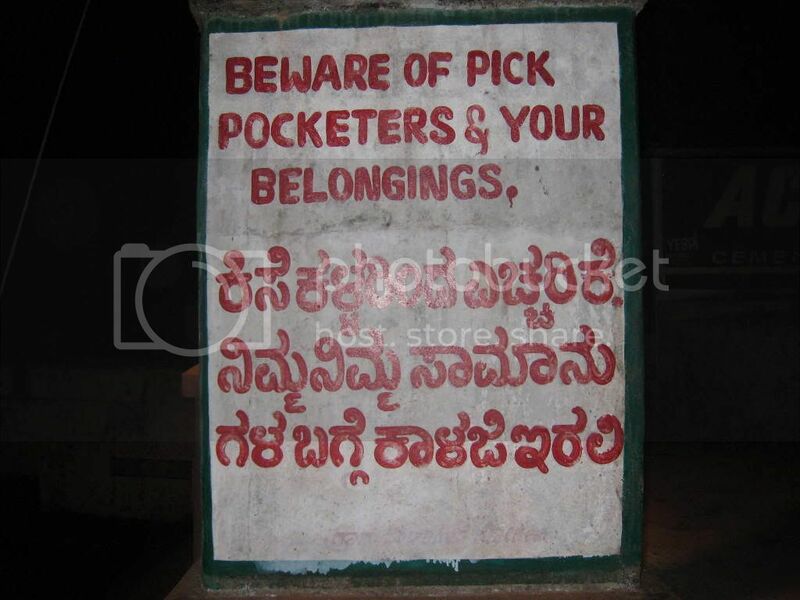 People speak and write Kannada, the local dialect. 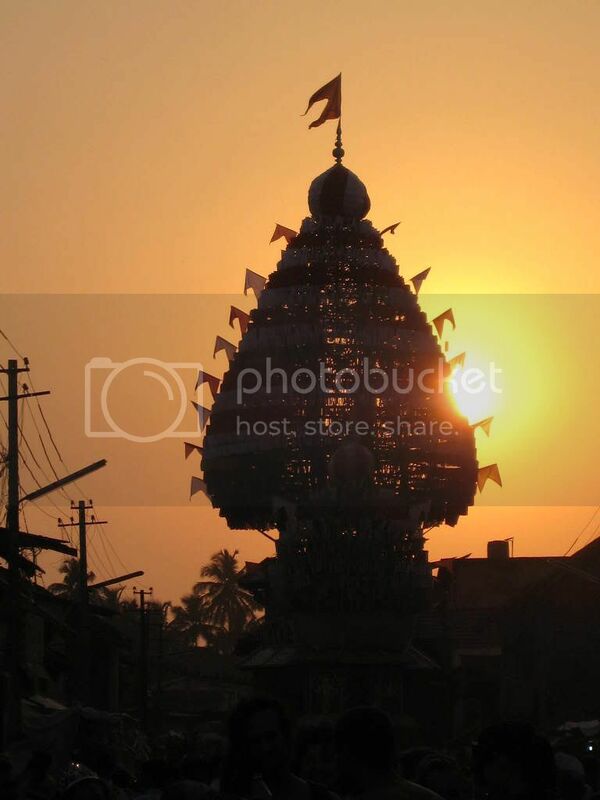 For Hindus, Gokarna is one of the most sacred sites in South India. People come here to gain spiritual purifications. 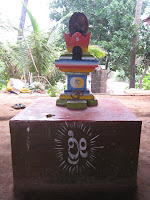 Gokarna means Cows' Ear. It is believed that Lord Shiva emerged from the ear of a cow (Prithvi, the Mother Earth) here. The earth asked Shiva to come out slowly through her ear so that she might be saved the pain of bearing his full weight. Shiva became thumbsize and came out through her ear and addressed her with these words : "Oh! 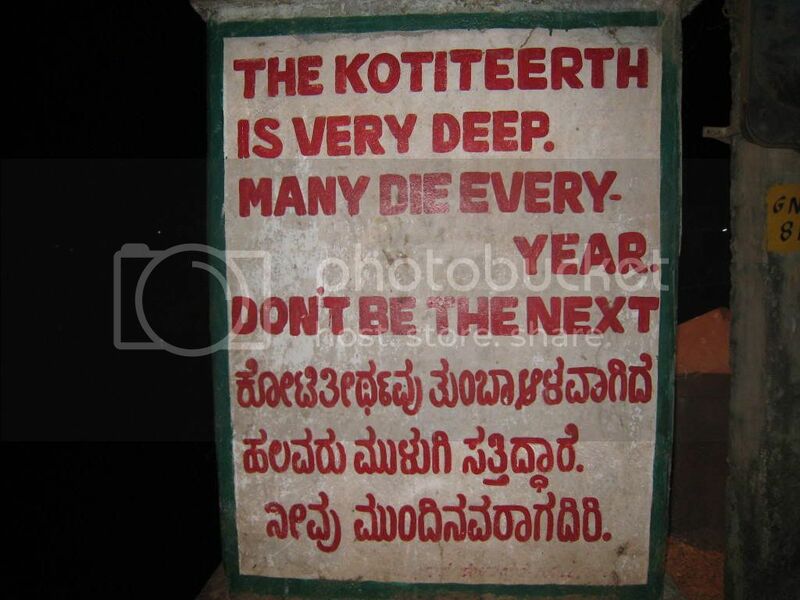 you earth, you go by the name of cow and as this is your ear, let this place be called Gokarna." Go means 'cow' and karna means 'ear'. 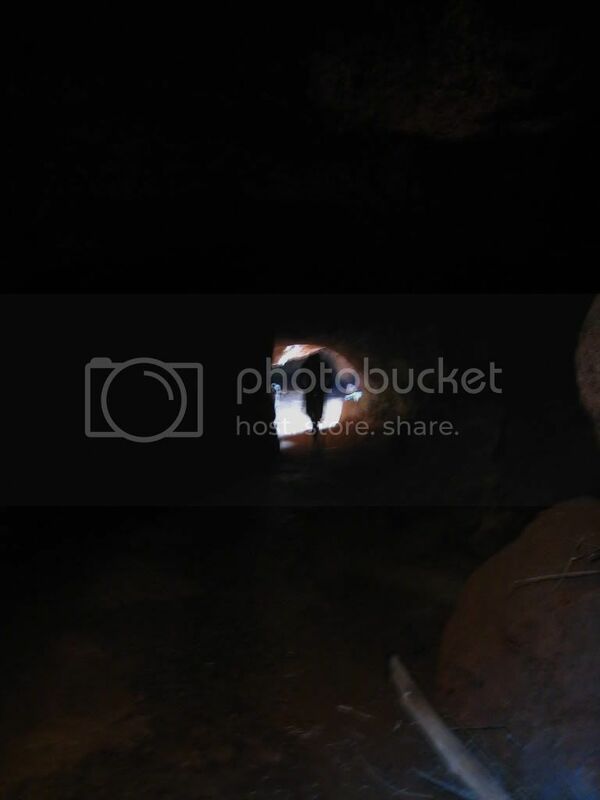 We visited the cave and the hole from which Shiva came out of the earth. 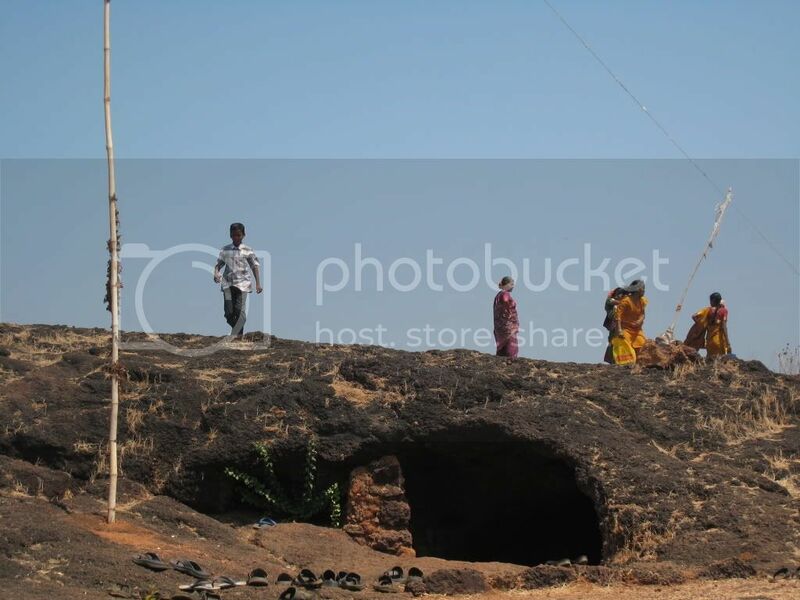 The cave is called Gogarbha, the cow's belly. 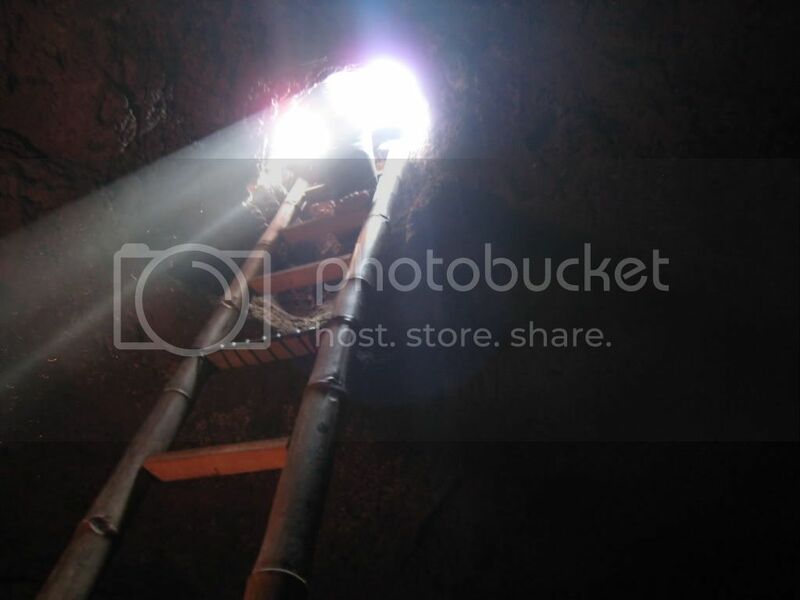 We went up the ladder and through the hole like Shiva did. Lots of people come to this cave, it is believed that if you come here, you will be saved, you will have no more reincarnations ; "he who enters this cave shall attaim salvation", Shiva said. 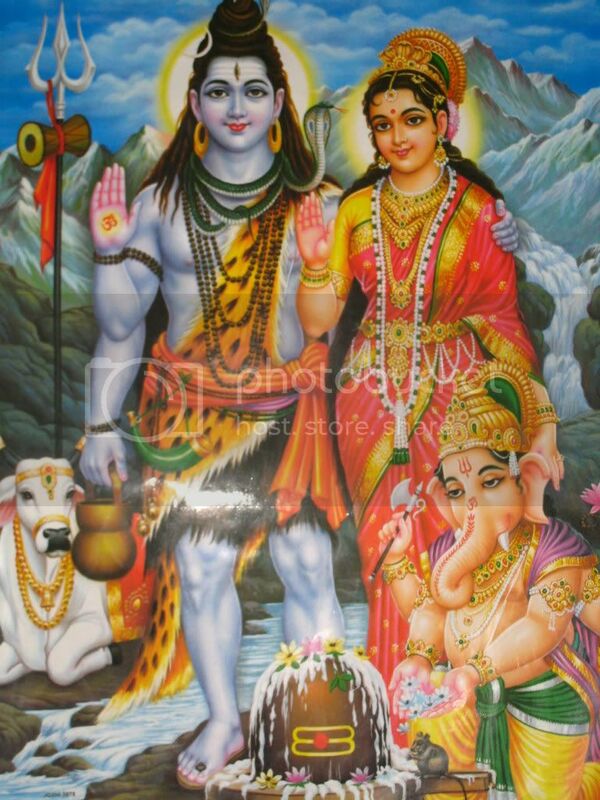 Shivaratri celebrates the mariage of Shiva and Parvati. It lasts three days. 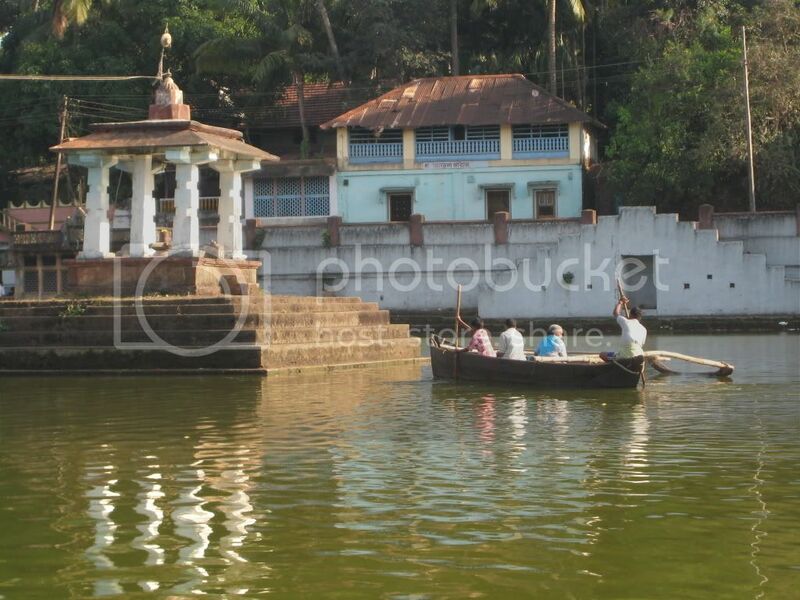 On the first night, a boat goes to the temple in the middle of the tank called Kotiteerth, where Shiva and Parvati had a picnic. PP made a puja and we offered Bilva leaves to Shiva. Two days later, a huge chariot is pulled to the temple (where Shiva and Parvati got married) while people throw bananas, offerings to Shiva. Your bananas must get inside the chariot, I had to throw 15 bananas to finally reach the goal ! 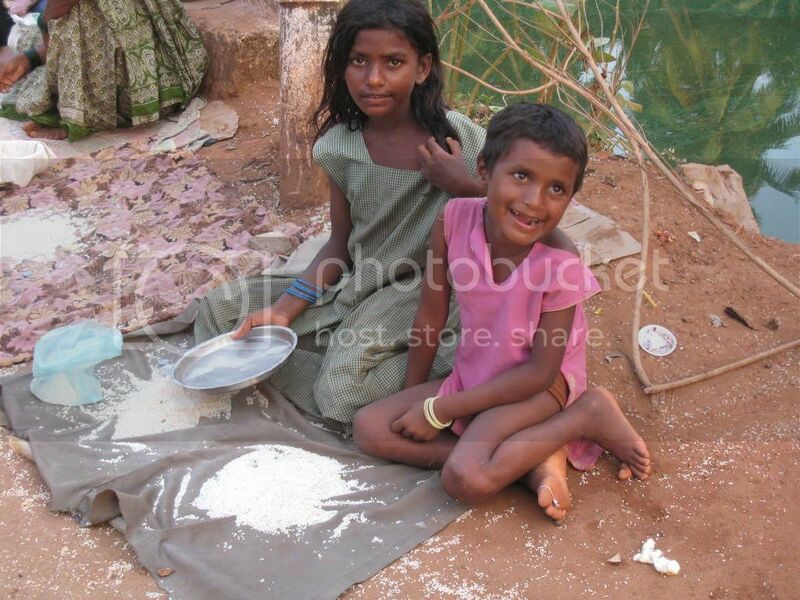 The next day was beggars' day; PP and I bought 5 kilos of rice each and we gave it to the beggars. Listen to the Baba singing and dancing with the kids!!! Bonjour MAdame PAoli on voulait savoir comment s'appelaient les vêtements que portent les femmes en inde? Les femmes portent un sari. Le nom change selon les regions; en inde du nord, elles portent le salwar kameez.